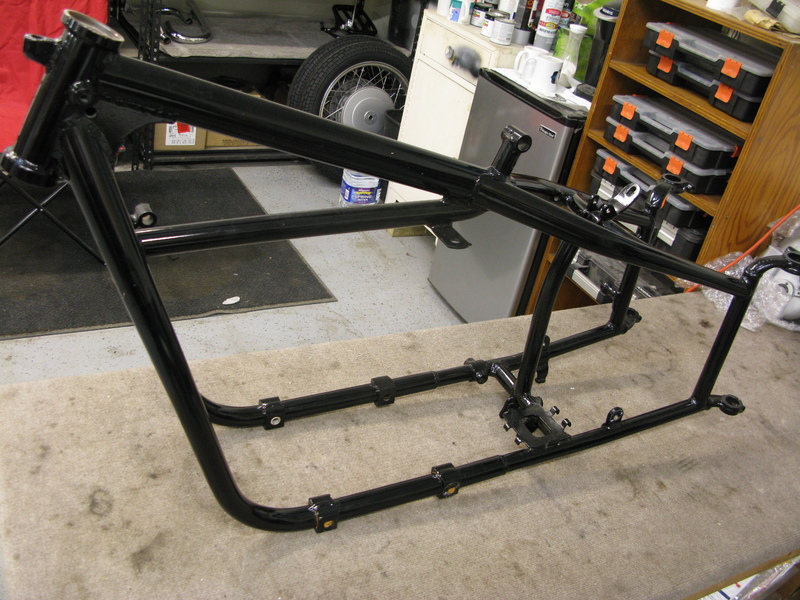 It is October 4 2018 I am beginning this project, the project was purchased earlier this year but has been sitting while finishing other projects to make room on both the bench and in my head to begin this one..
Plunger frame BMW motorcycles are becoming rare to find and if you want one, you have to pay up for it. 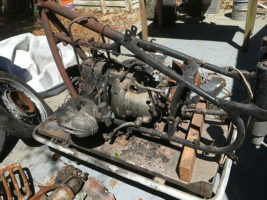 I purchased this project from an old acquaintance/friend. 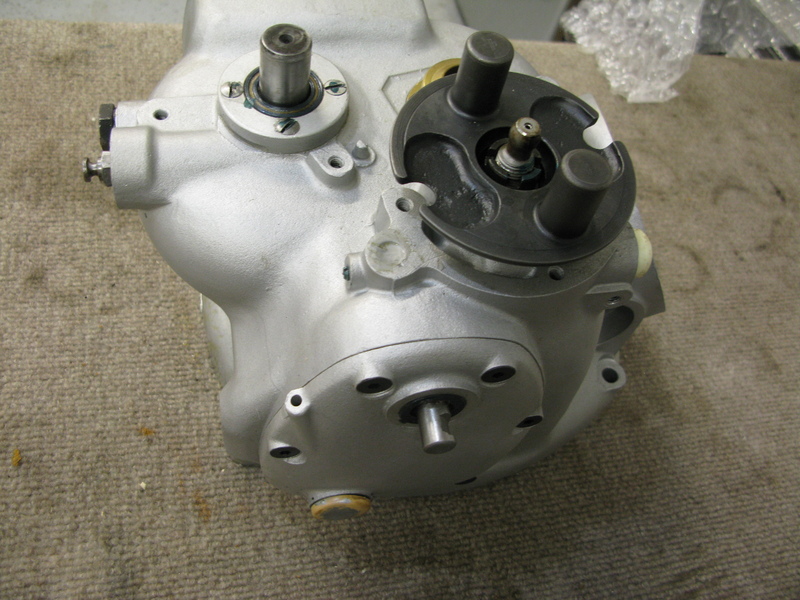 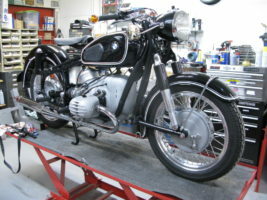 I had purchased a 1956 R69 project from him many years ago and that project, like this one, was exactly what he said it was. 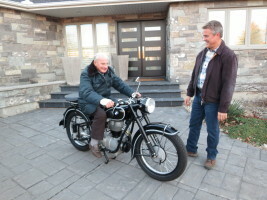 I wonder what the next project I purchase from him will be? 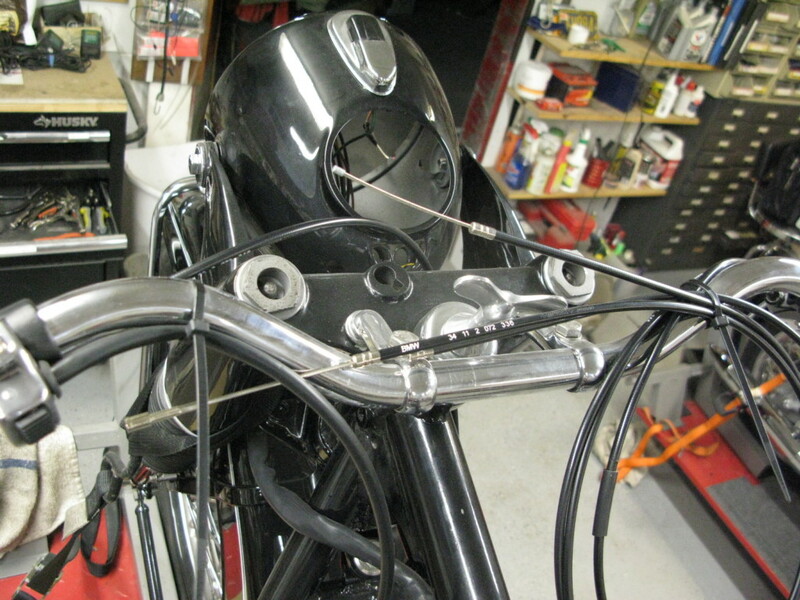 Much of this bike came to me in completed and semi-completed condition. 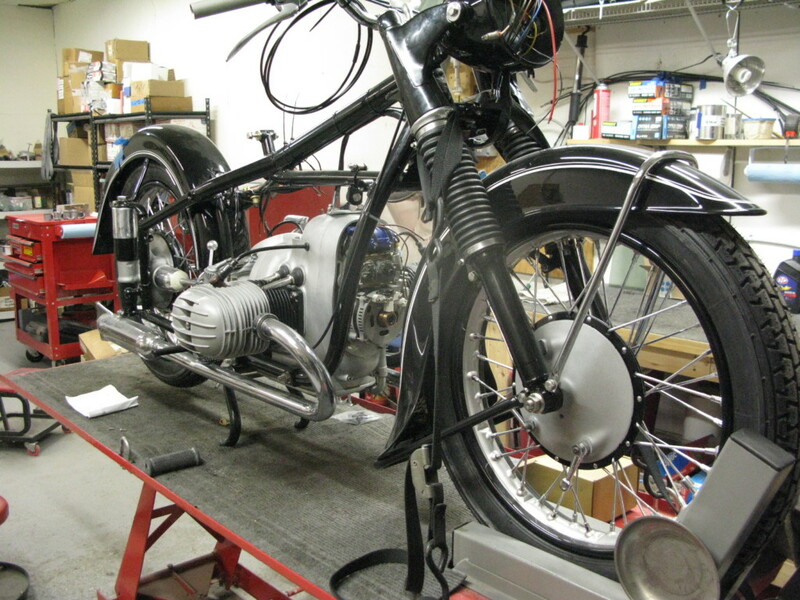 Both the motor and transmission were rebuilt and most of the paint work and pin stripping was done…a great way to start a project. 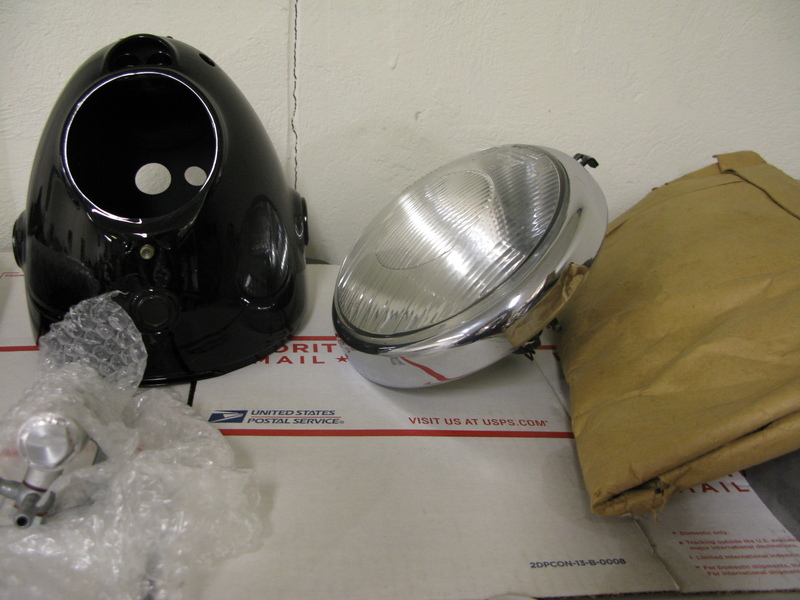 As usual, there were some hidden aspects to deal with which were unknown to the seller and me. 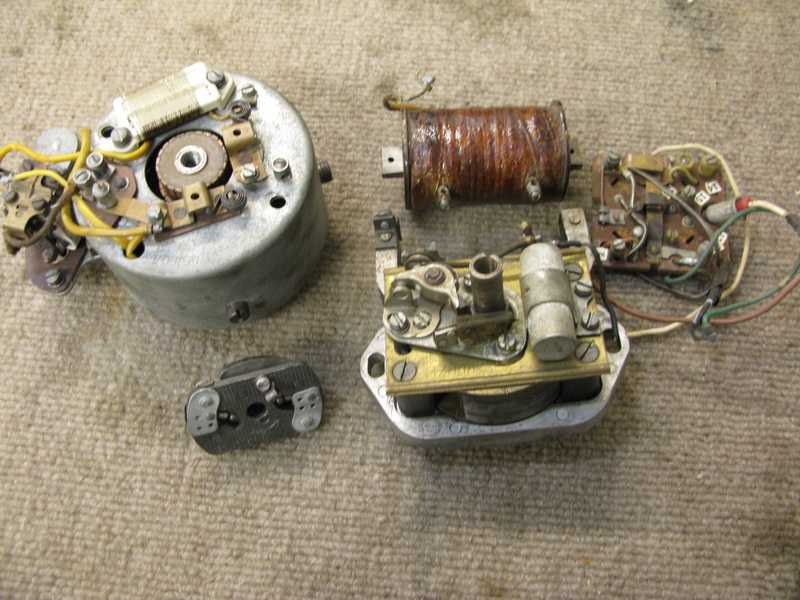 That is probably why we restore these old machines. 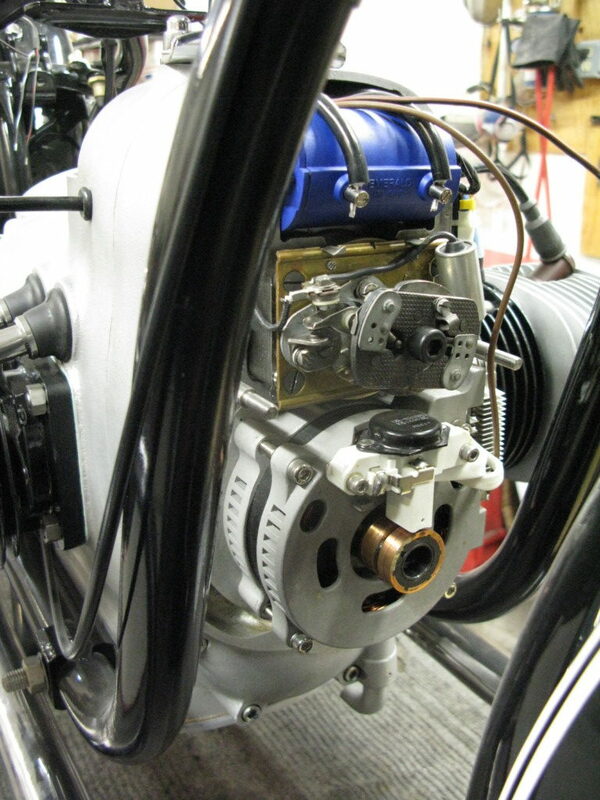 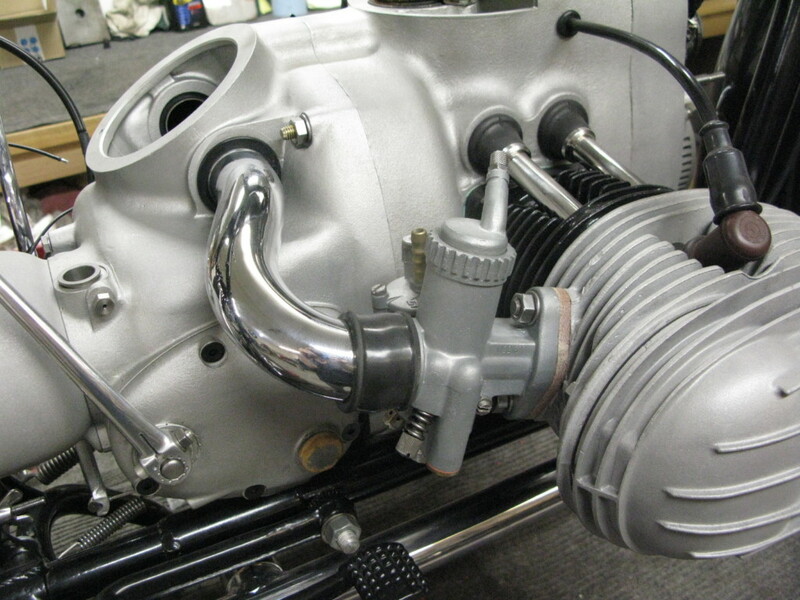 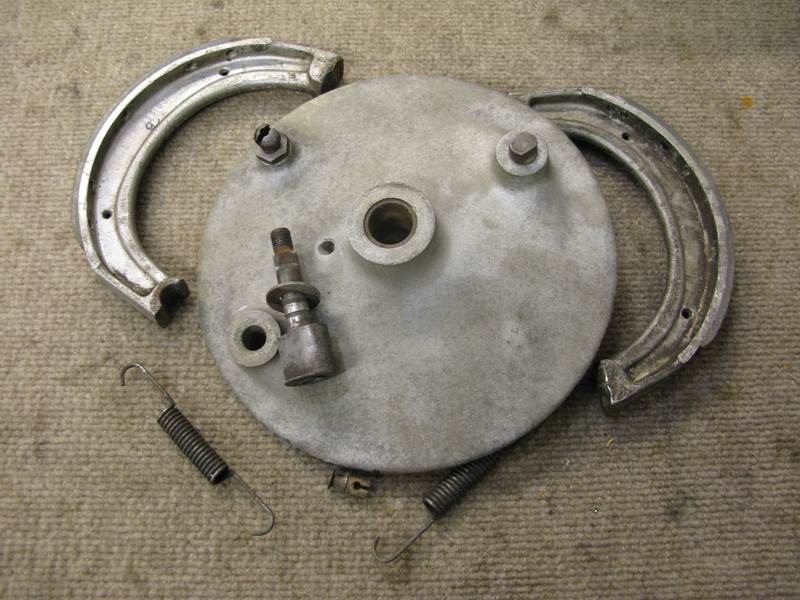 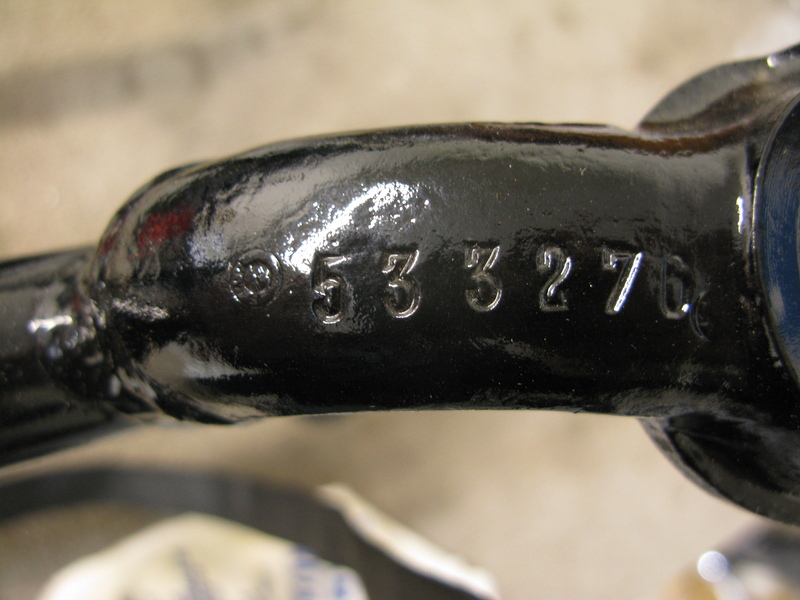 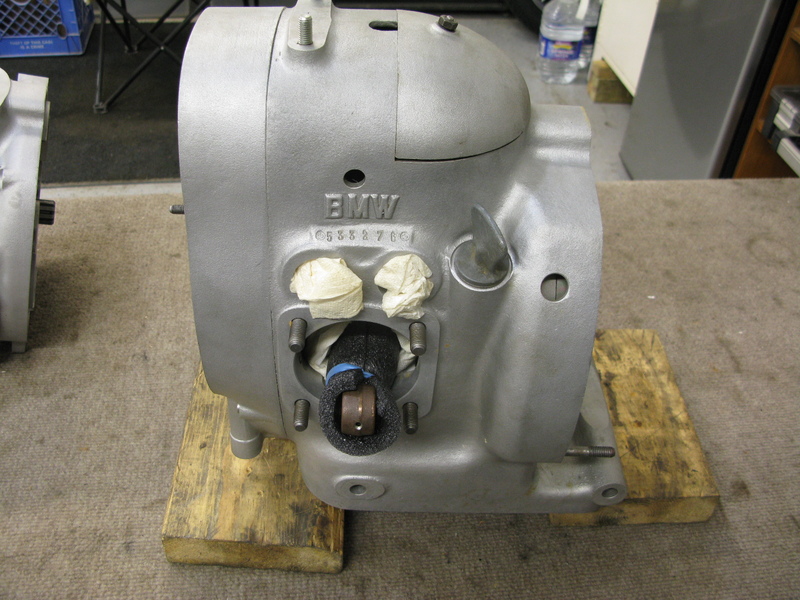 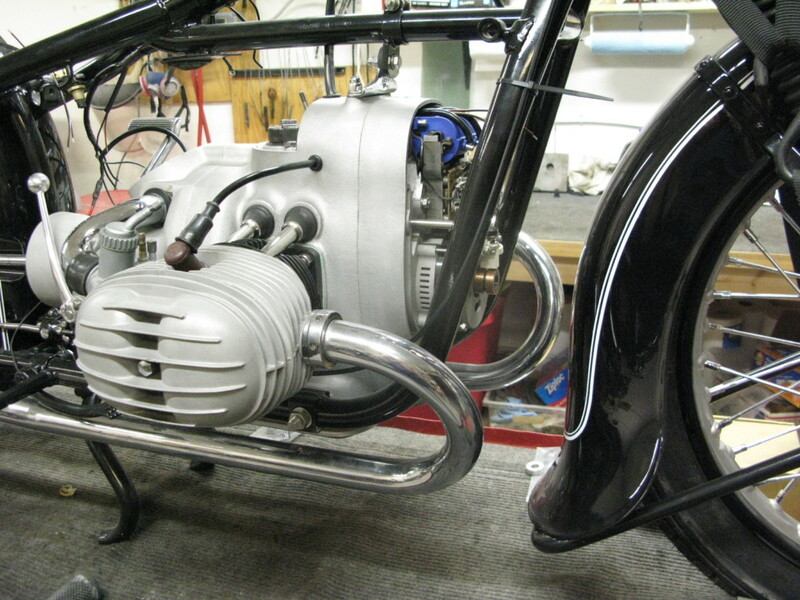 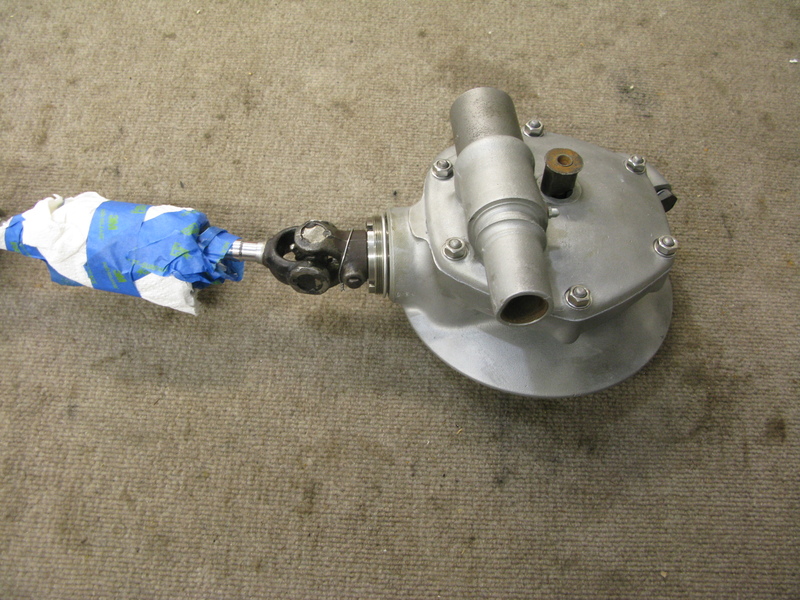 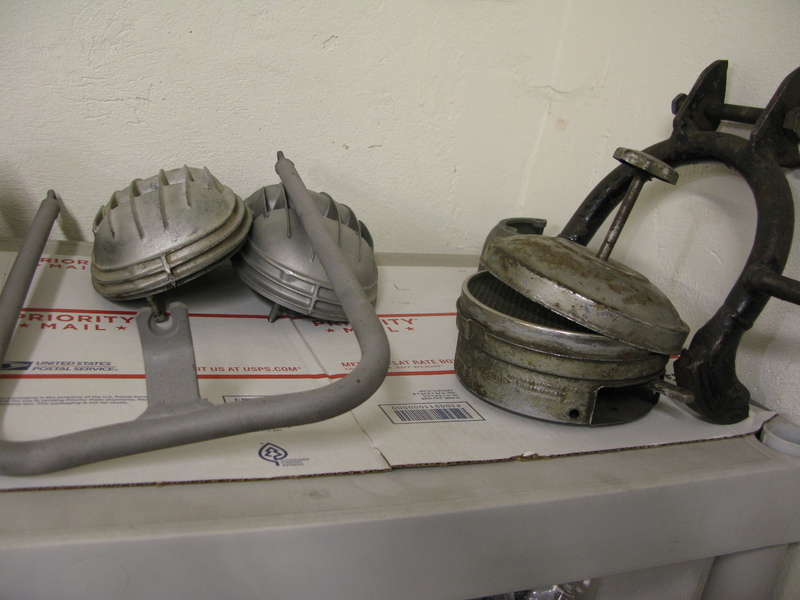 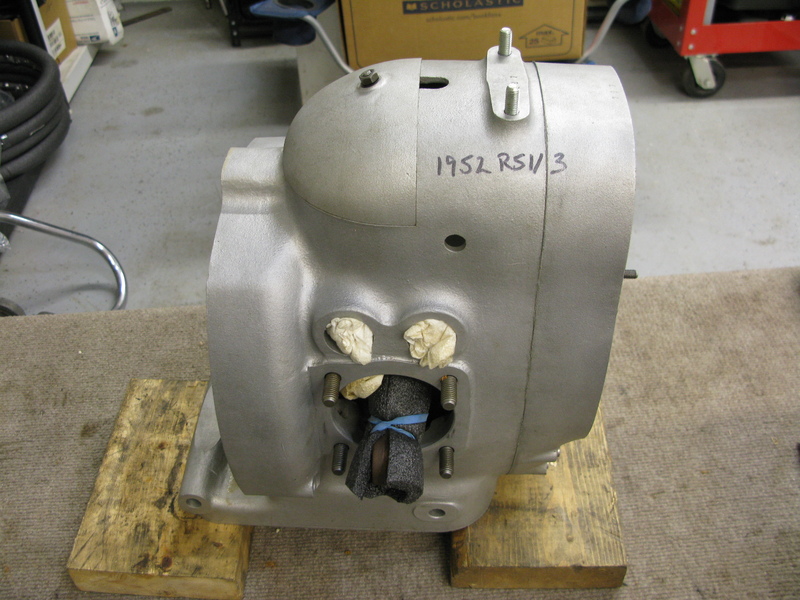 Work on these types of restorations have been made easier with the introduction of the Barrington Manual for /3 and plunger bikes from Barrington Motor Works in Barrington, NH. 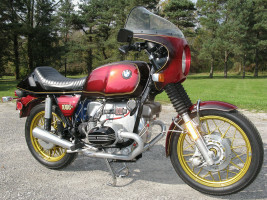 Chris and Barbara Betjemann have done a superb job in compiling and publishing manuals on /2 and US model twins, Singles and the BMW R51/3 – R68 guide. 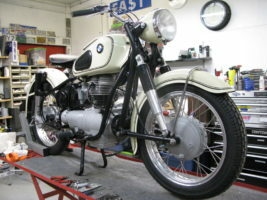 These manuals are true labors of love and dedication to their love and art of restoration of these old motorcycles. 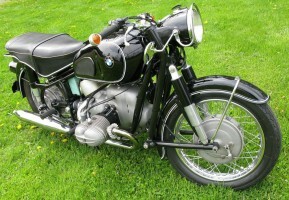 The R51/3 is a very beautiful and elegant design. 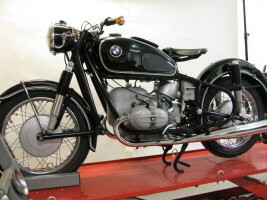 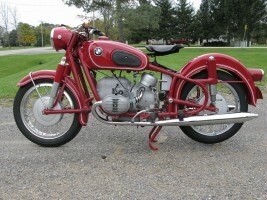 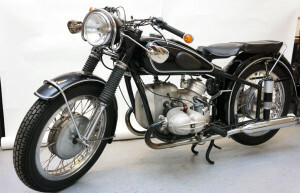 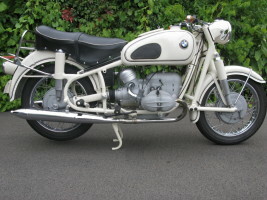 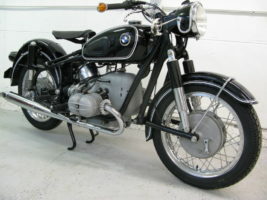 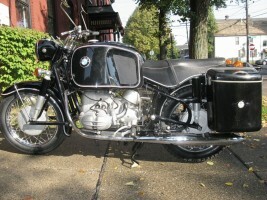 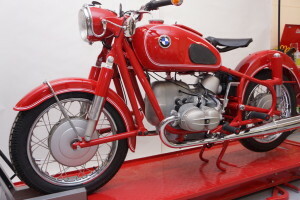 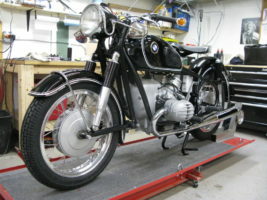 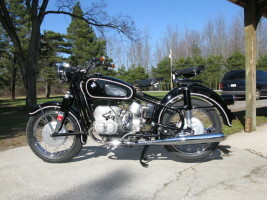 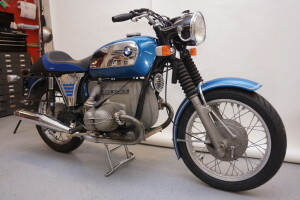 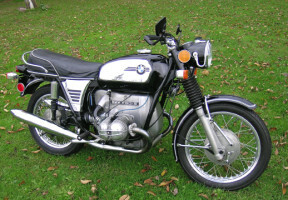 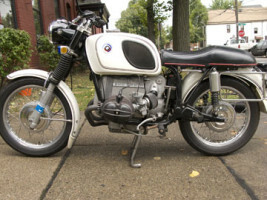 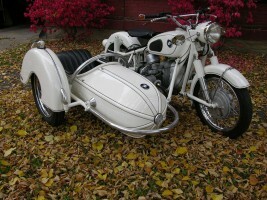 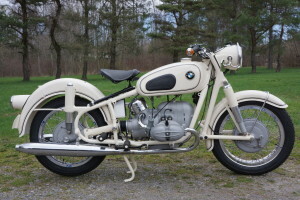 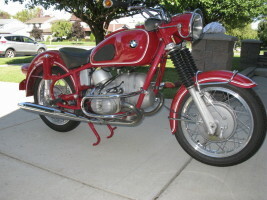 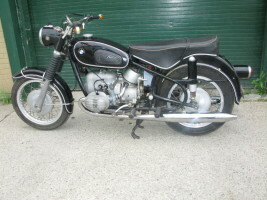 The plunger frame, standard tank with its rear sloping design and the “elephant ear” front fender, really make the R51/3 stand out in the BMW line of post-war BMW motorcycles. 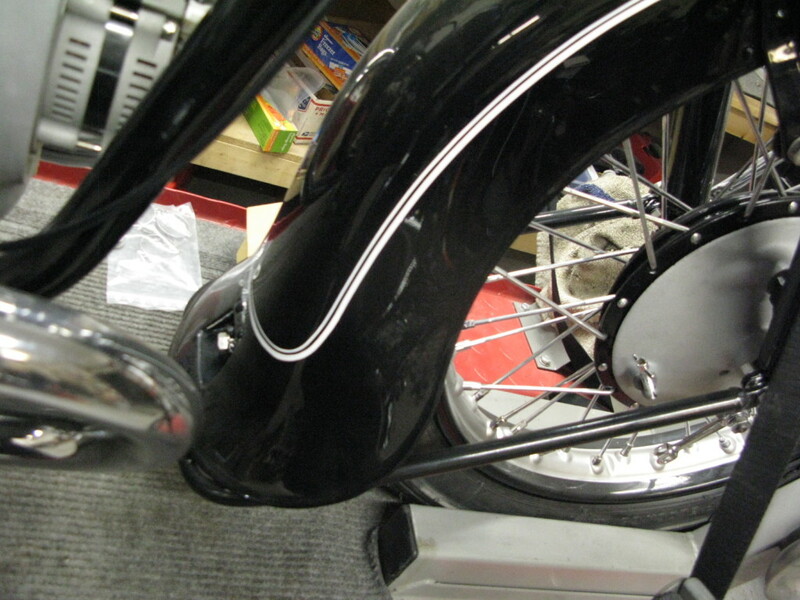 My project shows a bit of shelf wear as do so many of these projects when finished. 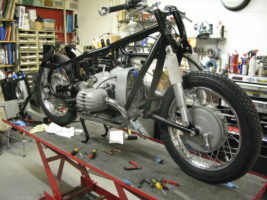 They take a long time and a great deal of money to get to the end so they spend a lot of time in the shop and on the shelf, so to speak. 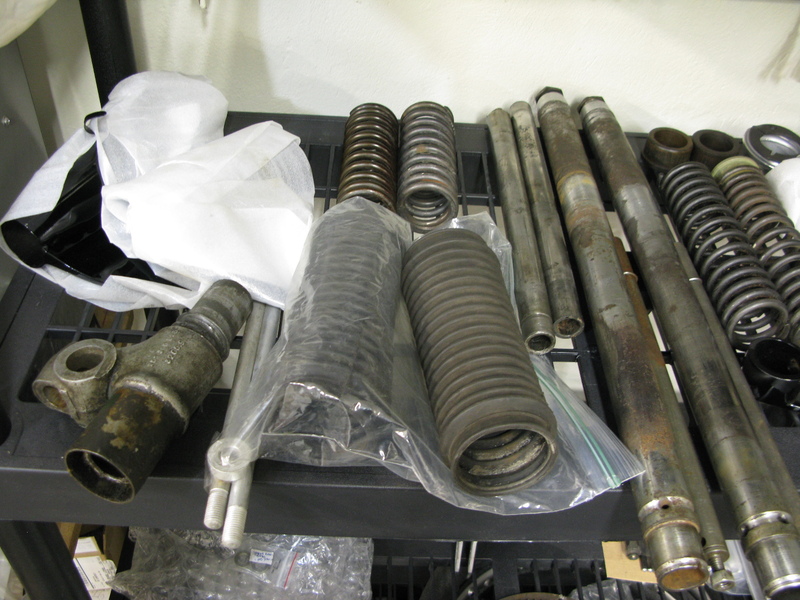 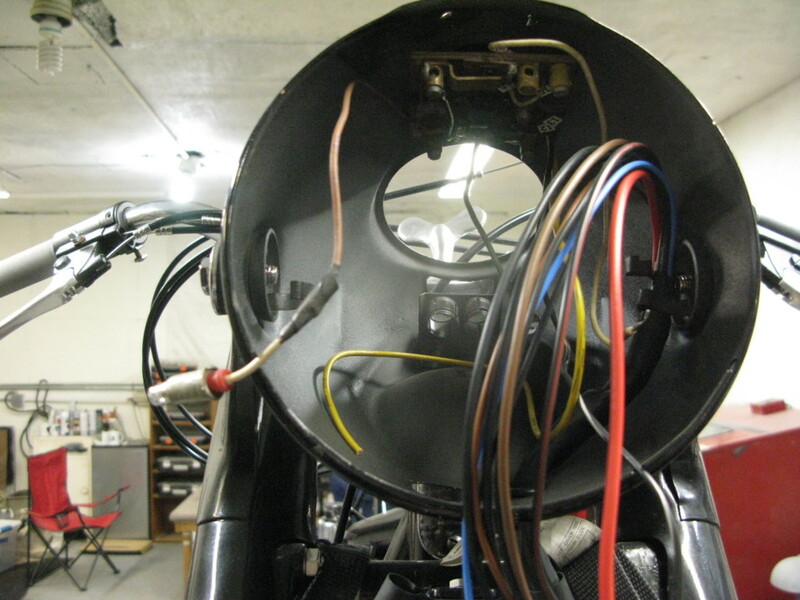 All parts were carefully evaluated and inventoried and the missing parts identified to get a full picture what was needed to get this project started. 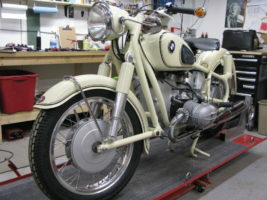 At some point, this bike sat outside and the weather got into the cylinders and final drive unit and the seal and piston mating surfaces were badly damaged and in need of replacement which was a costly venture. 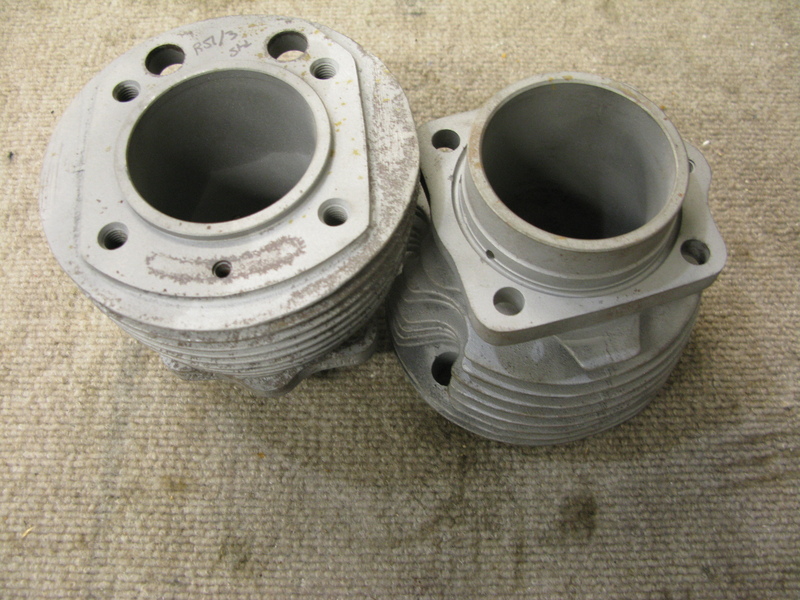 In order not to have to bore the cylinders 4th over, I was forced to go with a pair of used R50 standard bore cylinders and have them bored to first over. 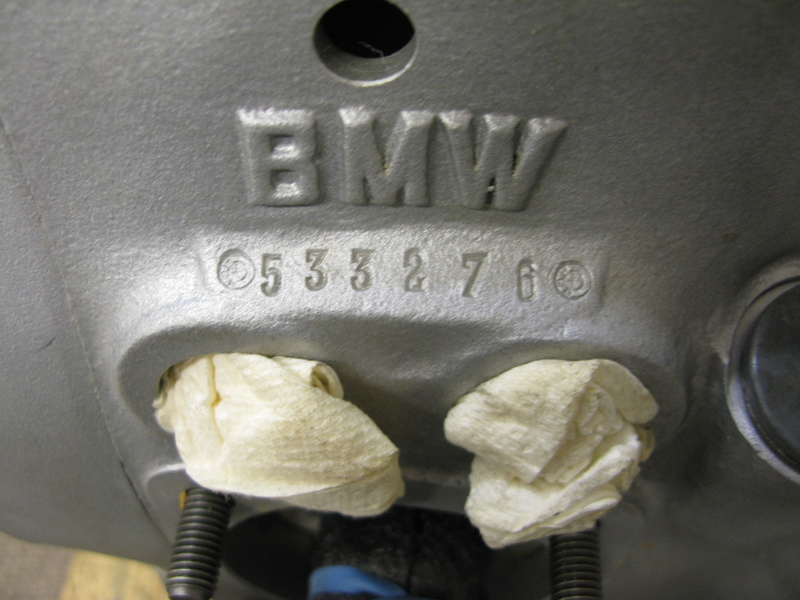 Not a perfect match but locating a good pair of R51/3 cylinders is almost impossible. 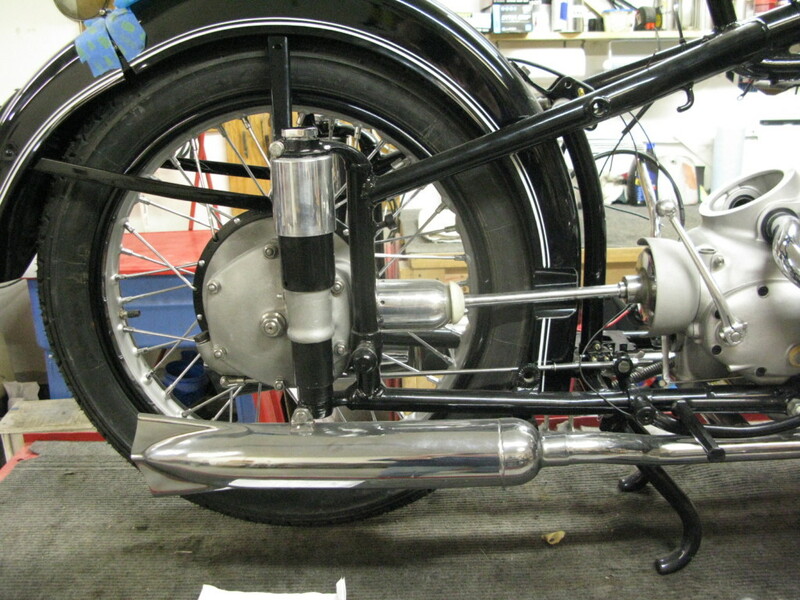 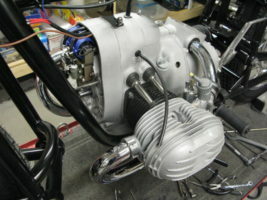 The original cylinders will eventually go with the bike and the new owner may decide to re-sleeve. 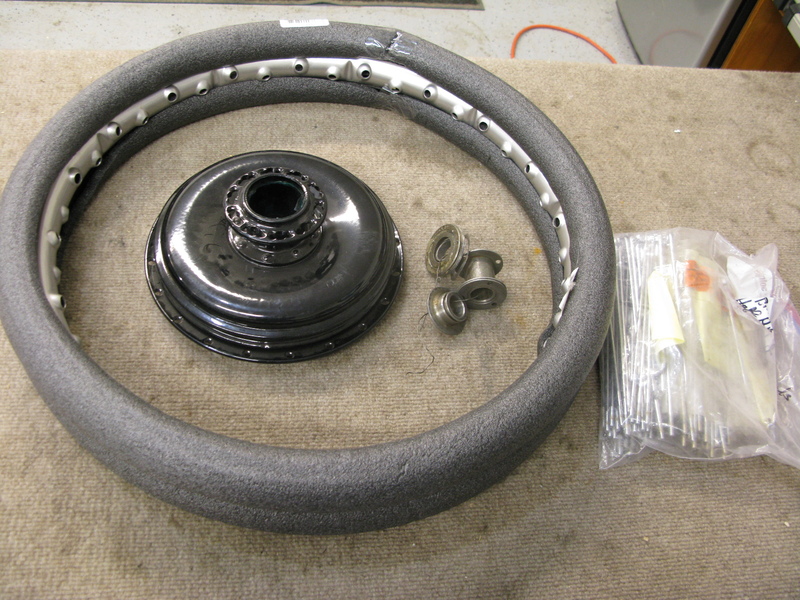 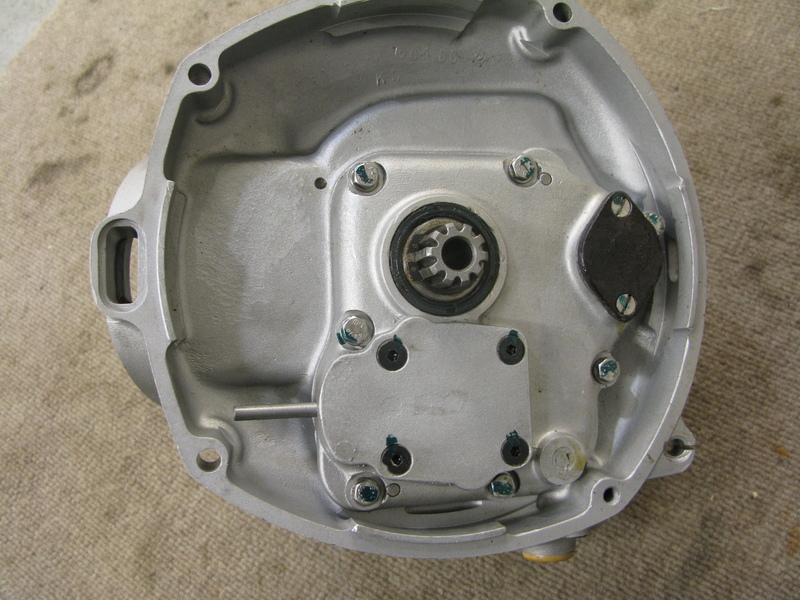 The final drive unit had serious pitting on the seal mating surfaces, no shims, pitted and missing bearing needles, damaged and frozen parts and other problems that led me to send the unit out to Benchmarkworks and let the experts with the correct parts available to rebuild the drive. 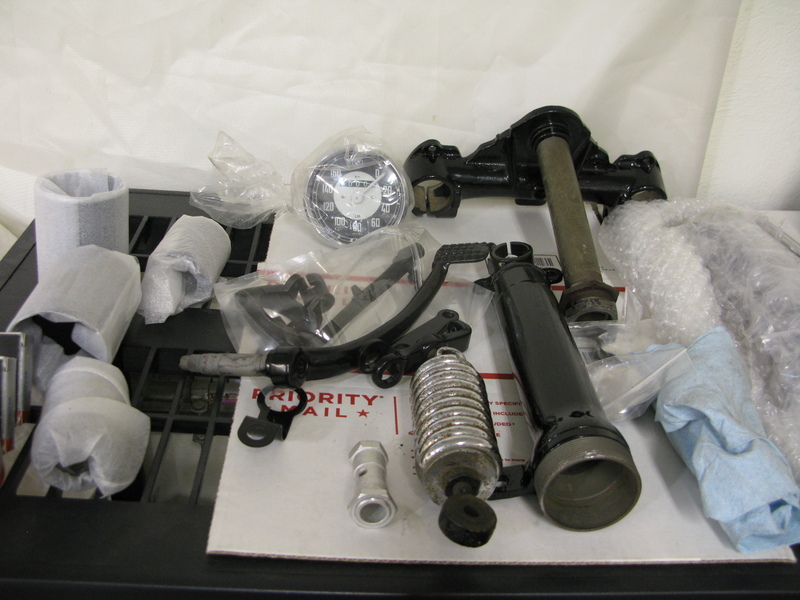 As usual, they did a superb job with a quick turn around and also kept me in the loop through the process. 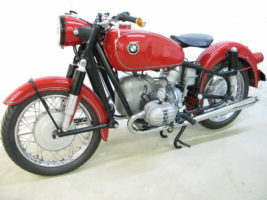 I have ordered about $2,600.00 in parts and hardware and when it all arrives I will start the process of slowly putting this beauty together.